Winton Ready for Iconic Endurance Race. Anticipation is building ahead of one of the most iconic events on the Winton Raceway calendar, the Joss Group Winton 300 endurance race which will be held this Sunday. 29 cars have entered for this year’s event, including a typical variety of machinery from different categories including Production, Production Sports, Improved Production and others. Headlining the list of contenders is the Ginetta G50 driven by the father-and-son combination of Craig and Adam Burgess, which won the Wakefield 300 earlier in the year. The Burgesses will face stiff opposition from 2015 Winton 300 winners Steve/Jake Shelley (Lotus Elise) and 2013 victors Nick Cancian/Rob Hay (Mazda MX5), along with the Glenn Townsend/Anthony Soole Lotus Exige. Other likely contenders include Daniel Reynolds/Matt Stubbs (BMW M3) and Michael Hall/Daniel Deckers (Mazda MX5), while regular Production Sports racers Richard Baskus and Jason Miller should also be among the front-runners in their ex-Alan East Motorsport Mitsubishi Evo. A number of competitors from other national series are participating in the event, including Dunlop Super2 Series driver Jordan Boys, who will be joined by Chelsea Angelo in a Ford Falcon Ute crewed by students from the Motorsports Training Australia Institute. There are also two Australian Formula 4 Championship drivers entered: Zak Best will drive with father Darren and sister Ellexandra in a Mitsubishi Evo, while Sage Murdoch will share a CXC Global Racing Evo with Gavin Holland. This year’s race will feature a new, Formula 1-style knockout qualifying session and will be supported by VIC V8s and Alfa Romeo Challenge. Sunday’s action will be live streamed by Blend Line TV. The Winton 300 has a distinguished history as one of the most prestigious events on the nation’s action track’s annual calendar. The original incarnation of the 300, run in the 1980s and early 90s, was a round of the Australian Production Car Championship and attracted many high-profile drivers including Peter Brock, Allan Grice, Brad Jones and Neil Crompton. After an absence of almost two decades, the Winton 300 was resurrected in 2011 under the auspices of the AASA – since then, it has exploded in popularity, becoming a “must-do” event for competitors from Victoria and interstate. 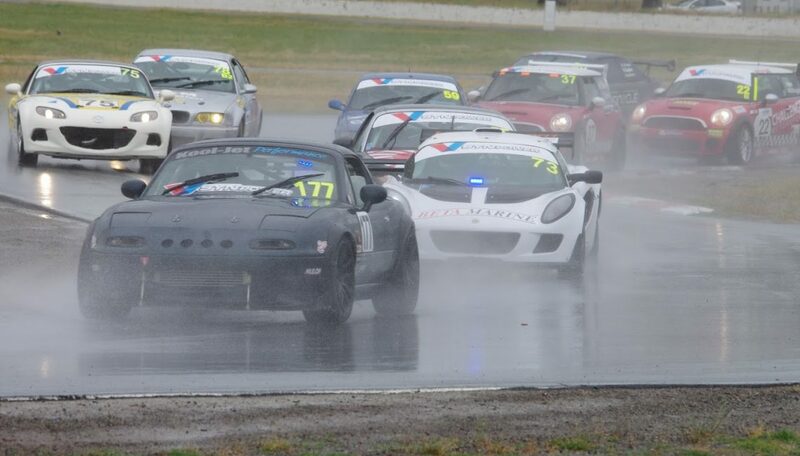 The Winton 300 is open to a wide variety of production-based vehicles, and its appeal lies in the accessible and affordable environment it has provided state and club-level motorsport competitors to enjoy the strategic and teamwork aspects of endurance racing. The 300 will be supported by the Vic V8’s and the Alfa Romeo’s. Action starts on both days at around 9am, spectators are free and most welcome to come out and watch.